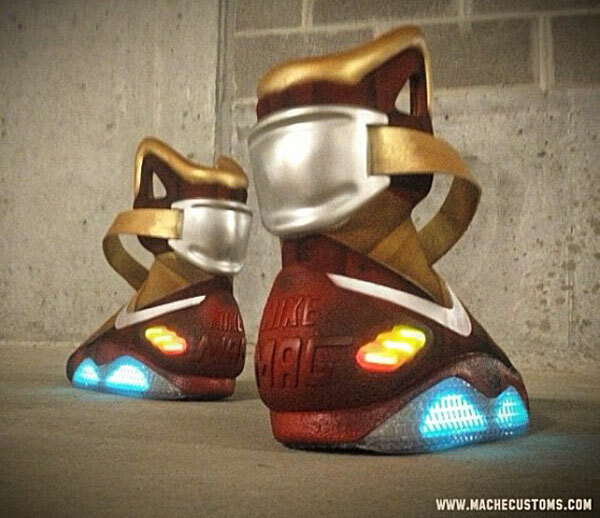 Great Stark! 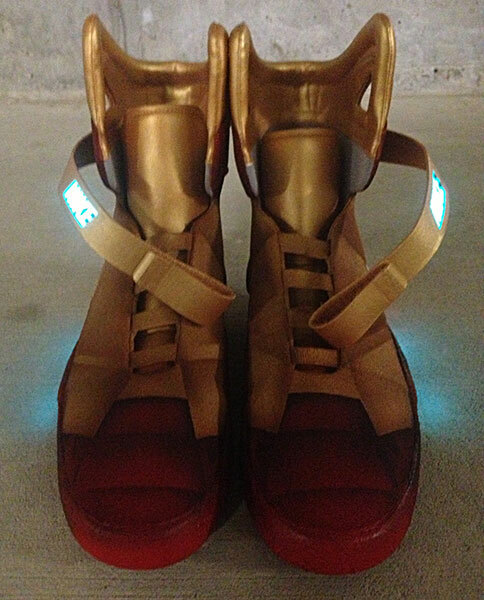 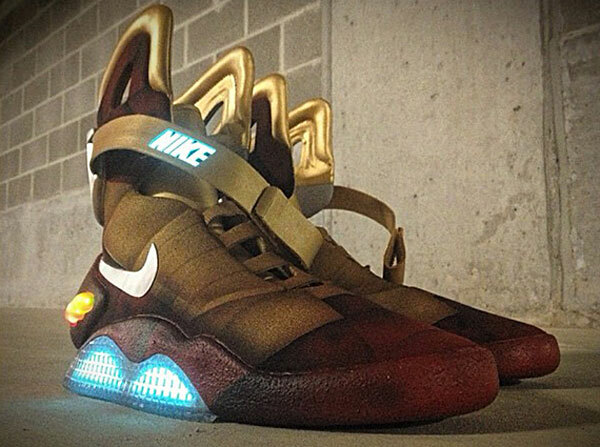 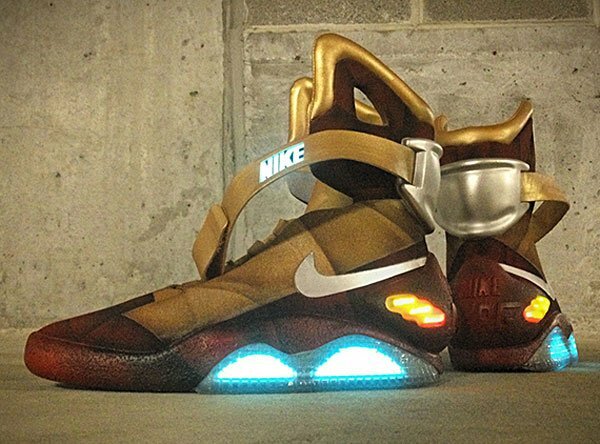 It wasn’t long ago that we thought improving on the Nike MAGs from Back to the Future II was impossible. 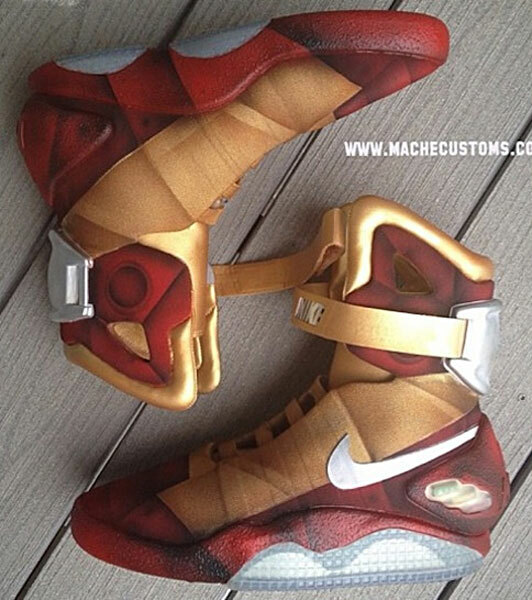 That was before we saw this awesome Iron Man inspired custom paint job by shoe design maniac Mache.